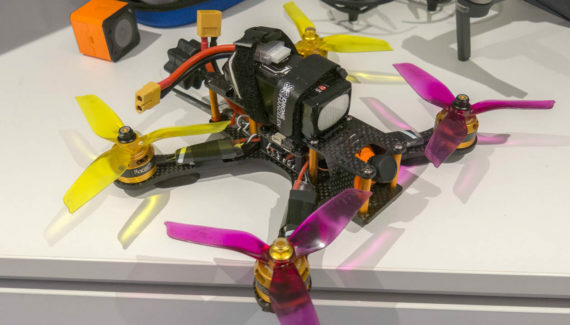 FPV Drone Build Project post 1: I have decided to build my first FPV Racing Drone! 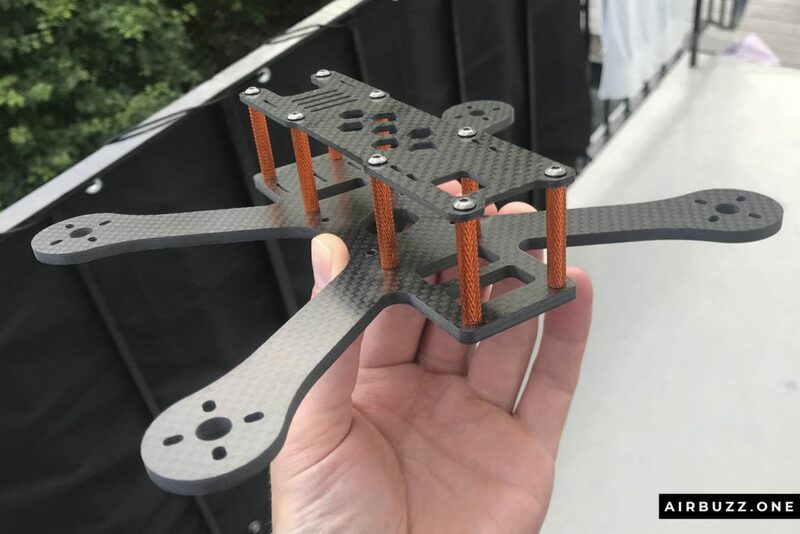 Building project – My first FPV racing drone. So I have decided to build my first racing drone! Yey! I got inspired by watching a build video of one of these cool, fast and colorful drones on YouYube. It explained in detail which parts I needed and how to mount them together by welding, gluing, taping, with strips and other methods. Supercool. I have no idea how it will look in the end and I need to learn a lot but follow these articles and we will eventually find out! Help and advice are much appreciated. A couple of weeks ago I didn’t know what ESC, PDB, FC, VTx and a ton of other abbreviations meant, but now I do! I will explain the most common words later in this post. 2. Starting the right way. 3. Assembling and finishing the drone! I can reveal the FPV stands for First Person View. The point of this racing sport is to use some sort of goggles (almost like VR goggles, if you are familiar with those) that present the live video stream from the small camera on the drone directly to your eyes and this is how you navigate and fly. It sounds extremely immersive and cool. Some drones have GoPro’s attached to the top which can record high-quality videos of the crazy flights. I especially enjoy looking at videos of drones diving down the facade of high buildings. Read: DJI Tello Review – Is it the perfect beginner drone? I have lots of experience with flying camera drones like the DJI Mavic Pro, but no experience with this fast stuff. I don’t know if I even can compare these two types of drones… Advanced camera drones have sensors to avoid crashing, GPS for tracking and positioning and if you let go of the sticks the drone will hover in place until you are ready to slowly continue to move. If you lose track of the drone you can press the emergency button and it will return and land where it came from. Racing drones don’t have these features. They are built up by a variety of components and circuit boards which is easy to replace if you crash. You can add components in the areas that are most important to you like battery time and remove stuff that is less important. If Mad Max had built drones, it would be the FPV kind… perhaps not so colorful. FPV drones have colorful motors, propellers, nuts, and standoffs and it is possible to build a 100% unique drone that fits you and your personality. So, right now I have a long list of components, parts, and tools bought in different online stores on the way in the mail. The parts are selected by watching build videos on YouTube and with the help of a great Norwegian FPV pilot and builder I came in contact with. He has already pointed out that some of the parts I chose is outdated, but is ok for now. Things happen very fast in this drone business obviously. You can follow my building project in these blog post. My goal is, of course, to build this thing and make it fly, but I’m not 100% sure yet if I will succeed. Time will show. 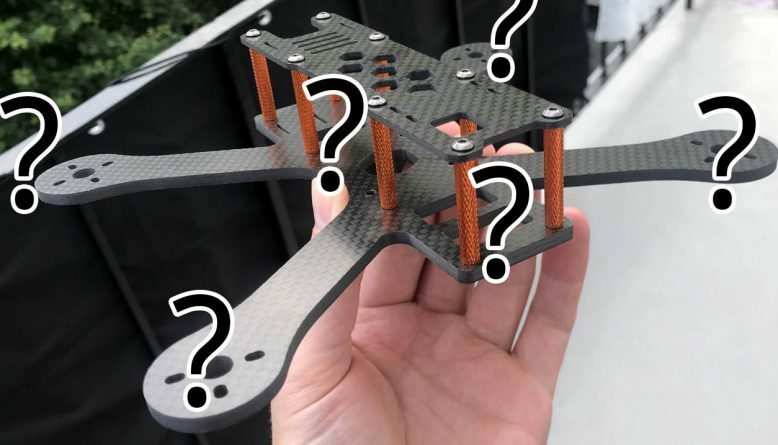 If you are an experienced FPV pilot yourself, PLEASE comment below if you have any tips and suggestions for parts and components. If you see obvious flaws in my components list, I need to now. Simple as that. Here is the shopping list so far. Explanation of difficult words and abbreviations follow further down. Here is a page with my recommended drone stores. * I have already been told I should have upgraded to the F4 version instead, but this will have to work for now. Memory cards At least 3 new microSD memory cards. One for the Blackbox (16GB) in the FC, one for the FPV goggles (64 GB) and one for the Runcam 3s action camera (64 GB). I will wait with the GoPro camera for a while until I see that I actually get this thing to fly and that I can maneuver it. I have ordered parts from the following online stores which are good shops for buying parts. In Norway, I have ordered parts from Dronehandelen and Elefun as well. If you have suggestions for other online stores with good reputations, please let me know in the comment section. What does FPV mean? – It stands for First Person View. The whole point of this kind of drone flying, FPV drone racing, is that you have goggles over your eyes and sees what the camera on the drone sees. What is an ESC? – ESC is short for Electronic Speed Controler. 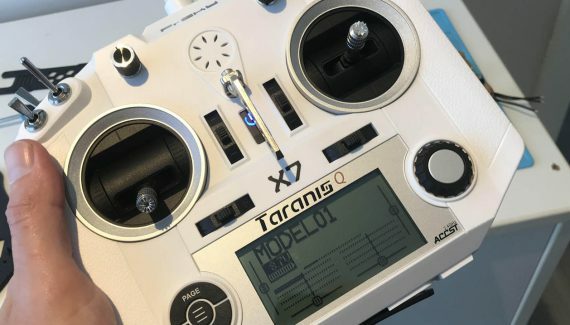 These controllers help control and regulate the electric motor of your drone. They either come in single ESCs for each motor or in one hub/chip with wires to each motor. What is a PDB? – PDB stands for Power Distribution Board and this board divert power to all the other parts like transmitters, FPV cameras and LED boards. Some PDB’s have filtered regulated power outputs, for example, 5V and 12V. What does the VTx do? – The VTX is the video transmitter and it is a device that sends video from the onboard drone camera to a video receiver – goggles or monitor. What is an FC? – The FC is the Flight Controller and it is the main brains of the quadcopter. The FC receives commands from you and the receiver and translates that into motor outputs that make the quadcopter fly and do other things. What is a Rx? – This is the Reciever which receives the signals and commands from the transmitter/radio. What is a Tx? – This is the Transmitter, or Radio controller, with joysticks and buttons that send out signals and commands that are received by the Reciever. Hope I got it right… If you have any more questions and corrections, ask below. Next post is about received parts, buying a radio controller and simulators. You can read it here. FPV Drone Build Project post 2: Starting the right way. Oh this looks like it would be so much fun! Is it better to sit down before flying? I think it’s a bit beyond my budget at the moment, but I’m definitely going to bear it in mind for a new hobby. Thanks for the comment and question Steve! I have seen people both sit in fancy chairs or stand. I’m impressed with people that stand and that they doesn’t fall over. 🙂 I haven’t really tried flying with goggles yet, but I’m very curious on how it feels. Can’t wait to get all the parts from China….